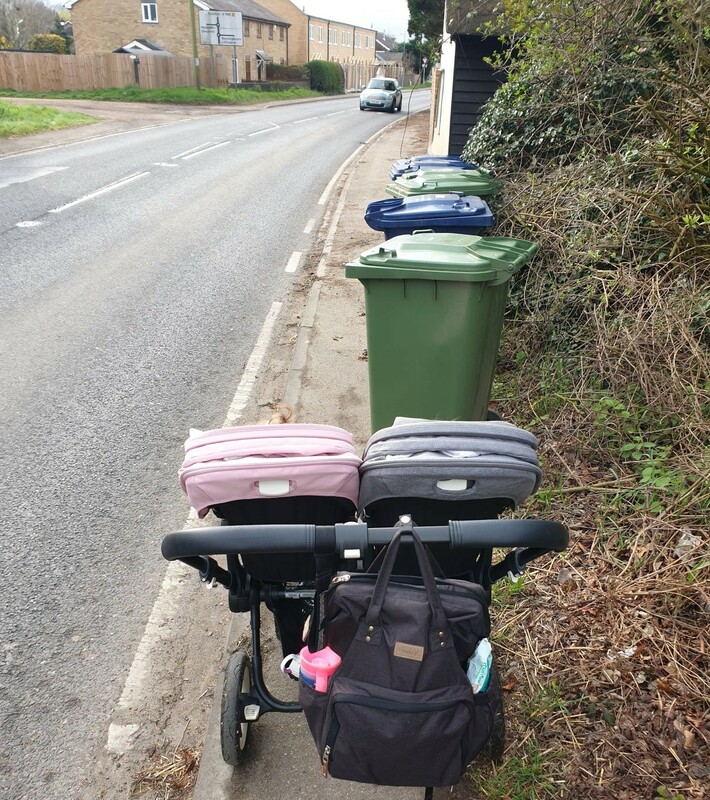 We’ll be meeting in Kneesworth just north of the mini roundabouts, at the point illustrated in this photo – which was provided by one of the mums living at the Barracks who braves the narrow path along the fast moving A1198 and then has to nip into the road where the path can no longer accommodate her pushchair. She has four small children. We are all told that we need to get out and walk more, but it’s not always so simple! There are obviously lots of safety issues for people in Kneesworth who are getting round other than by car. The idea tomorrow is to focus on the walk by children to school and into Bassingbourn Village centre.